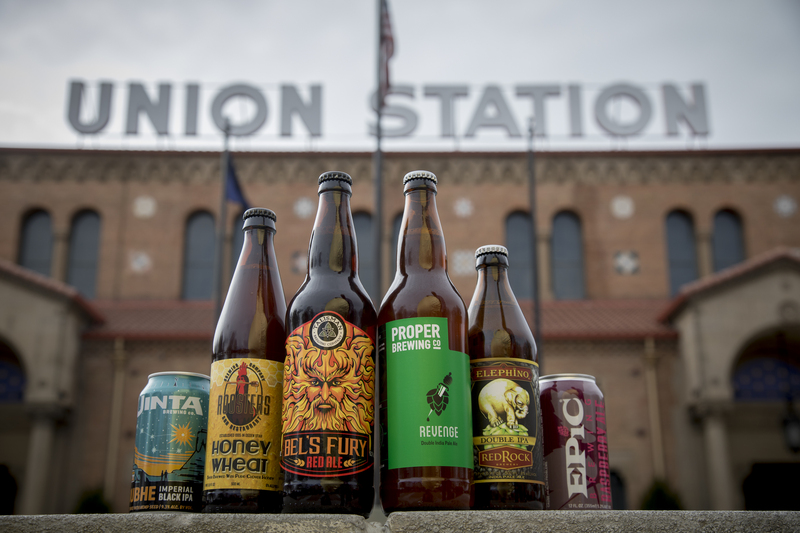 New Spring Beer Fest brings craft brews, live music to Ogden’s Union Station – GO! OGDEN — Oktoberfest? That is soooo last fall. This weekend, Junction City will celebrate the arrival of spring with a new event featuring local craft beers, food and music. The first Spring Beer Fest is scheduled for 5-9 p.m. Saturday, March 24, in the Grand Lobby of Ogden’s Union Station at 2501 Wall Ave.
McCowin said she thinks the festival will be an incredible opportunity for Ogden, and that it will bring people to the downtown area. “They have brew fests in Salt Lake and Park City, and we just thought it was time for there to be one in Ogden,” she said. The Spring Beer Fest will feature nine craft breweries and two distilleries from Utah — Bonneville Brewery, Epic Brewing Company, Kiitos Brewing, New World Distillery, Ogden’s Own Distillery, Proper Brewing Co., Red Rock Brewing Co., Roosters Brewing Co., Talisman Brewing Company, PRESS and Uinta Brewing. Seven local restaurants will offer food throughout the evening — Zucca Ristorante, Lucky Slice Pizza, Union Grill, Taste of Louisiana, Tona Sushi Bar and Grill, Warrens Craft Burger and The Red Rock Grill. Another seven local vendors will have booths at the event. Admission includes three sample pours, a $5 meal voucher and a 5-ounce souvenir sampling mug. On the entertainment side of the evening, the festival will include both live music and a DJ. DJ KyWiz, who as Kylee Hallows co-owns Lavender Vinyl in downtown Ogden, will start things off — going old school by spinning vinyl records. She’ll be followed by Joshy Soul, a Salt Lake City-based artist whose genres include throwback, neo soul and Motown music. He’ll perform what he calls “a gentleman’s soul music,” according to his Facebook page. The event, limited to 500 people, is sold-out as of Wednesday evening. Tickets will not be available at the door. For more information, call 801-449-8194. McCowin said the Spring Beer Fest will show Ogden’s wild — “but not too wild, still very contained” — side.